SHOULD MY PICTURE BOOK BE A CHAPTER BOOK? I’m excited to reveal the cover of my forthcoming chapter book SIENNA, THE COWGIRL FAIRY: TRYING TO MAKE IT RAIN – coming April 2017! This is the first book in the Sienna, the Cowgirl Fairy series. Didn’t Brian Martin do a fantastic job? In this story, Sienna is not your normal cowgirl. She’s half-human and half-fairy. But Sienna wants nothing to do with fairies. When her ma sends her to fairy camp instead of cowgirl camp, she ain’t none too happy. Not only must she deal with cliquish fairies who reject her spunky spirit and outspoken ways, she must also noodle out how to help Mother Nature end the Texas drought. Can Sienna balance cowgirling with some tried ‘n’ true fairy skills to both fit in and make it rain? This is a story about perseverance, friendship, teamwork, self-acceptance, and acceptance of others. This book and the second book in the series AUNT ROSE’S FLOWER GIRL started as picture books. So, how did they become chapter books? It all started in 2012. I was invited by the Institute of Children’s Literature’s (ICL) faculty to participate in their advanced program, Writing and Selling Children’s Books. About that time, I visited my then five-year-old granddaughter in Chicago. “What if you could fly?” my granddaughter asked. “I’d fly up to that ceiling fan and take a ride,” she said. Boing! Idea time! I thought, There must be a picture book in there somewhere. So I started brainstorming. My first version was titled THE GIRL WHO COULD FLY, and it included a protagonist that took a ride on a ceiling fan. Then I changed the title to THE GIRL WHO SAVED TEXAS. My ICL instructor wasn’t really sold on the fairy angle I had developed, but she did say that she’d like to see me Texas the character up. That thought led her to suggesting that I make the protagonist a cowgirl fairy. I ran with those ideas and fell in love with Sienna. In 2013, I took my SIENNA, THE COWGIRL FAIRY: TRYING TO MAKE IT RAIN picture book manuscript to the North Texas SCBWI conference. And I was lucky enough to have the first page read on stage and commented on by Lin Oliver. I could see by her smile that she liked the voice. But in her comments, she wondered if the story was too old for the picture book audience. I later found a few minutes of one-on-one time with Lin, and she encouraged me to consider expanding the story into a chapter book. 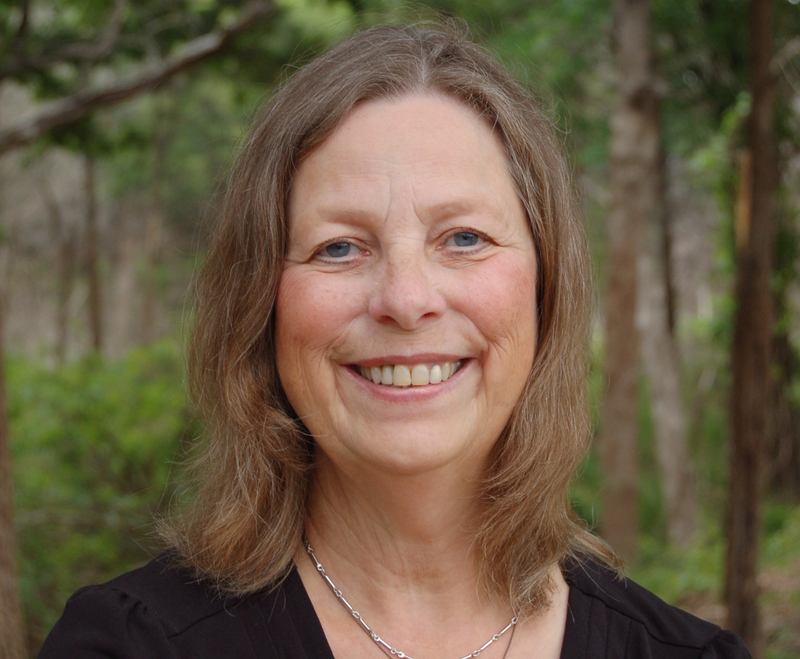 The conference gave me the confidence that I needed to submit the picture book manuscript. Three agents offered me representation. One agent was actually interested in shopping it as a picture book. I didn’t discuss it with the second agent because I chose the third agent to represent me. This agent agreed that it would be wise to turn the Sienna story into a chapter book. We worked together for about a year and then we parted ways amicably. As time went by, not being able to attract a new agent caused my confidence to wane. I spent a year floundering and nearly another year halfheartedly submitting. In 2016, I went to a weekend workshop with a highly-respected literary agency where we presented our work in a roundtable forum. The senior agent who led the group loved Sienna’s voice and asked me to send her the whole manuscript. Yes! Perhaps my beloved Sienna would be published after all. But after months of nothing but crickets, I nudged the agent. Finally, I heard back with a form letter rejection – not one clue as to why it wasn’t right for her. I had a brief setback, but instead of letting it get me down, I immediately started submitting again. Two months later, I had a contract for the Sienna, the Cowgirl Fairy chapter book series with Spork, an imprint of Clear Fork Publishing. So, why were the Sienna picture book stories better suited for the chapter book audience? The characters were too old for a picture book. As much as I wanted to limit Sienna’s age in my mind to a spunky eight-year-old girl, she wanted to be older. Her voice was older. Her actions were older. And since the story was written in first person (Sienna narrator), the storytelling voice was better suited for an older audience. Another reason a chapter book was a good idea is because I was able to expand on the story and further develop this fantastic character. These are only a few reasons why a picture book manuscript or picture book idea might work better as a chapter book. Do you have any picture books that really should be a chapter book? It might be worth thinking about. Check out Is Your Idea a Picture Book, Chapter Book or Middle Grade Novel? By Hillary Homzie and Mira Reisberg on Tara Lazar’s blog. Anastasia Suen answers the question “Should I write a picture book or a chapter book?” on her blog. I loved learning about your process, Alyane. Beautifully written! Thank you for this post, Alayne. It was insightful and encouraging. Best of luck with “Sienna The Cowgirl Fairy.” It sounds delightful. I can’t wait to read it. And, yes! Brian Martain did a fantastic job! Thank you so much, Doris! Thanks for this post! I’ve been wondering if the picture books I’ve written really need to be chapter books. You’ve given me the confidence to give it a try! That’s wonderful news, Kristi. Best of luck and enjoy the process! 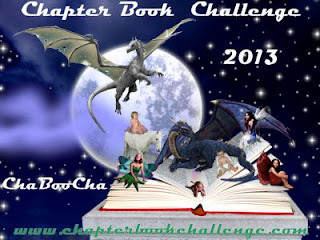 Kristi, I forgot to tell you to Keep an eye out for the Chapter Book Challenge – coming next month. I’ll be sharing more of my journey. And it is a great challenge to write a first chapter book draft in a month. Wonderful recap of your journey, which I remember very well. I’m so glad that you persisted and didn’t give up! Can’t wait to hold it in my hands. Aw thanks, Sylvia. I’m touched. Thank you for your encouragement and support all this time. It means more than you know to me. Congratulations and thanks for sharing Sienna’s journey to publication. This topic is one I struggle with, and your post is very helpful. I LOVE the idea of a cowgirl fairy and can’t wait to read your book! Thanks, Jane. Keep an eye out for the Chapter Book Challenge – coming next month. I’ll be sharing more of my journey. And it is a great challenge to write a first chapter book draft in a month. Great post, Alayne. There’s times when I wonder if my idea is too old for the PB crowd – and reading your experiences helps the thought process. Thank you Sue, I’m so glad my sharing is helpful to you in some way. I love the cover! There are many picture books out there. Chapter books appeal to an audience proud to be able to read a book without pictures. You did the right thing! Best of luck with it. Thank you for your never-ending support, Vivian. I hope your critique partner finds it encouraging. I’m glad I persisted too. I couldn’t give up on Sienna. My mother loved her too much. And of course, Sienna is near and dear to my heart as well. She naturally had a lot of me in her! Thanks, Alayne, for sharing this helpful information. Your story inspires me and gives me hope 🙂 Can’t wait to read about Sienna! Thank you for passing it along. I am very happy that you have been inspired! Looking forward to read about Sienna. Love to see how others find inspiration and embark on their writing journey. Thank you for your words, as I somehow stumbled upon your blog. I’m also a writer, reader, mom who found inspiration at my local library. Great post for me to read. This has happened to me too, but I still haven’t seen my character through to a finished chapter book. Inspiring! I love that my post is inspiring for you, Annina. I hope that means that your character will one day make her/his way through to a finished chapter book. Congrats, Alayne! Thanks for sharing your journey with us- and the helpful advice. I, too, am considering chapter books as an option, and hope to begin attempting them at the end of the year. Right now, I’m heavily invested in revising my NaNoWriMo novel. That’s the fun of writing for children-there are always more choices! I’m glad you found my post helpful, Jarm. I agree about having choice in writing. Enjoy working on your revisions and then getting started on your chaper book! Thanks Alayna. I’m working on a CB that I wrote as a PB. The main character was just too old and I finally listened to her. So glad you listened, Ali. I hope she talks you all the way through the CB! Thanks for popping in and commenting, too.